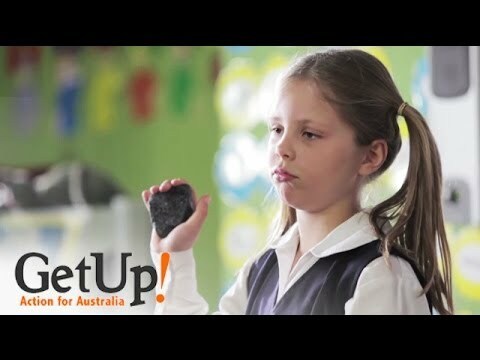 What do Tony Abbott, adorable kids, the Great Barrier Reef, coal seam gas, and bullet wounds have in common? Following the release of the US documentary Gasland earlier this year, fracking has become an explosive topic. What is it and why the controversy? In America, natural gas stored in deep shale is being fracked, which has led to some people being able to light the water coming out of their taps on fire. In Australia, coal seam gas is now being extracted in Queensland and New South Wales, but only about five per cent of the wells in Australia are currently fracked. Deep shale gas deposits are known to exist in South Australia. It's time to get creative in fighting the threat of Coal seam gas and open cut coal - it's time to connect the spectacular natural assets directly with the fight to protect them. The 'Scenic RIm' region is in South-East Queensland, just south of Brisbane and tucked in behind the Gold Coast. More than 80% of the Scenic Rim is covered by coal and coal seam gas exploration permits. As part of a national day of action, landholders and supporters will become "Protestors on Peaks" rallying on the Scenic Rim’s namesake mountain peaks, with huge banners carrying a united “no” message to coal seam gas and open pit coal mining in the region. Join hundreds of farmers, landholders, local tourism operators and supporters and get active and united in protecting the natural assets of the Scenic Rim, and the agricultural industry which provides the scenic vistas which tourism depends on in the Shire. Where: The 'Scenic Rim', South-East Queensland. When: 11am, Tuesday 4 October, 2011. We are now seeing a clash between food security, environmental risks and energy security in a low carbon world. There are no easy answers. Gas, so much cleaner than coal, could be providing a quarter of the world's energy within 20 years and Australia, with over 100 years' worth of coal seam gas ready to be piped to the surface, is in a great position. But coal seam gas is raising a real stink in Australia with concerns being raised by farmers and environmentalists.